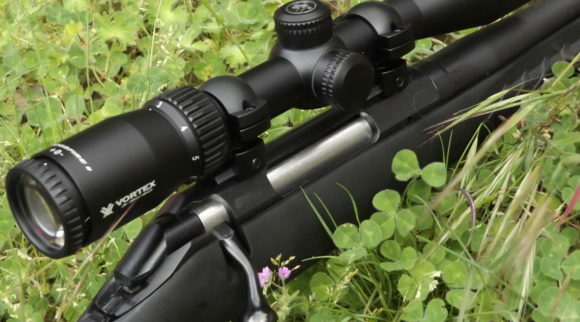 If you are a keen hunter who spends a lot of time out in the woods pursuing your favorite pastime, you no doubt are already aware of the importance of choosing a waterproof gun scope. There are many people who do not want to go out hunting when the weather is poor, since hunting can be challenging enough even in good weather, but it can be exceptionally difficult if there is a lot of moisture in the air. The animals that you are hunting are much more experienced in being outdoors in harsh weather conditions than any human ever could be, and therefore this creates a very uneven situation which makes it much harder to be successful when hunting in the rain. 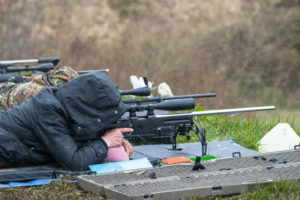 Of course, most people are hunting for the pure enjoyment of it, and therefore hunting outside on a wet and cold day isn’t especially appealing. It’s no wonder that so many people prefer to stay indoors instead of heading out in the middle of a rainstorm. However, there is no guarantee that a warm and sunny day will remain that way, so what happens when you set out in the morning for a hunt under blue skies and then find that part way through the day you are caught in an unexpected rain shower? 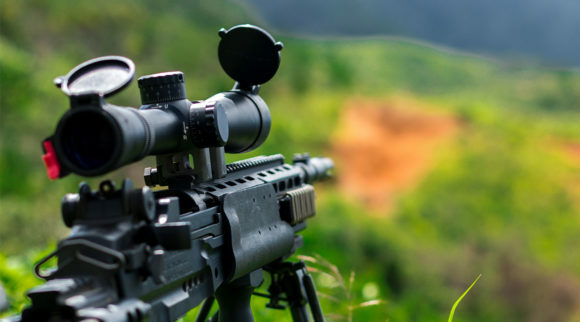 There is always a risk of rain whenever you are hunting in the outdoor environment for an extended period of time, and that is why buying a waterproof gun scope can make all the difference to your chance of success when hunting in the field. When conditions get sloppy out in the field, safety becomes even more important. Not only do we recommend being extra careful with your firearm, but we also recommend that you make sure your vehicle is ready for everything as well. We highly recommend keeping an off road recovery kit in the back of your Truck, Jeep, or SUV at all times. 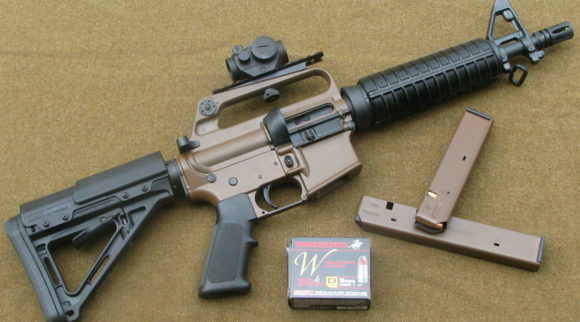 How Does A Gun Scope Work? The key parts of the gun scope are its lenses, with the larger one being the objective lens which is on the end which is furthest from the rifle stock. The purpose of this lens to to send the light back to the ocular lens, close to the eye. The objective bell holds the objective lens and the eyepiece contains the ocular lens. A rifle scope works in a similar way to a telescope, with the light passes through the objective lens to focus on a point within the scope. 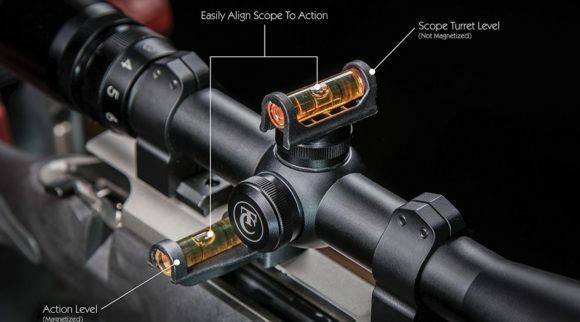 The light from the focal point is magnified by the ocular lens and when the hunter looks through A rifle scope also has a crosshair reticle, and these markers show the hunter precisely where their shot will hit when the trigger is pulled. 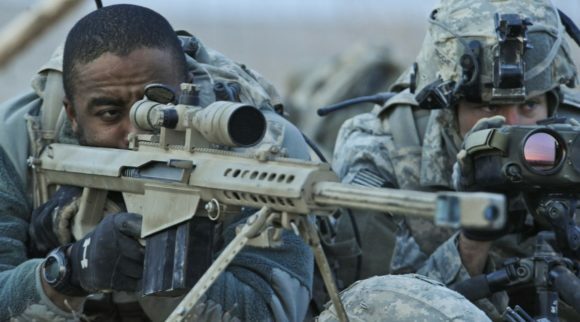 Before you mount your gun scope, you should position the rifle in the same position that you will use while shooting. Ensure that you are comfortable, paying close attention to how your neck and head is positioned since the scope must be mounted in a way which complements the posture you prefer. 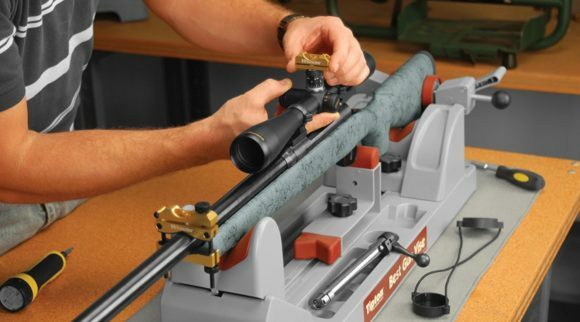 Ensure your scope, rifle, scope mount, mounting rings, allen wrench and screwdrivers are all to hand before mounting your gun scope. You will also need to sight in your gun scope and this requires patience and time. However when this is done properly, you will be able to be confident that your shot will be successful. 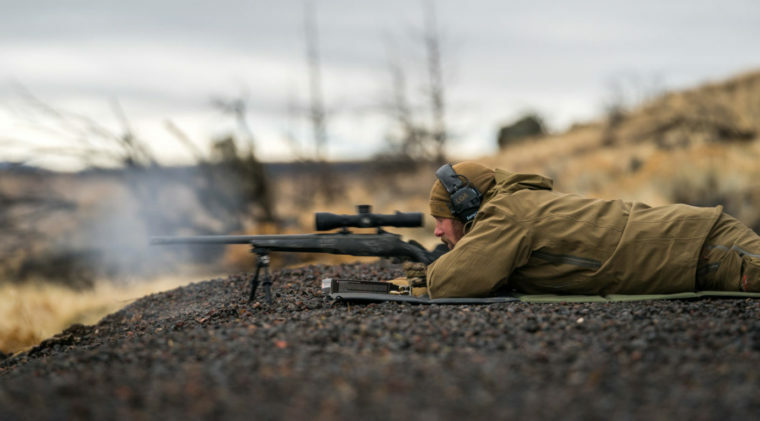 You should also take into account the amount of recoil that your rifle is likely to produce and accommodate for this when using your gun scope in order to protect your eyes from damage and injury. Any hunter knows that being successful demands a broad spectrum of skills. 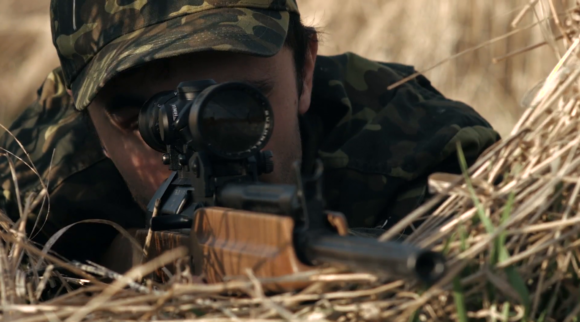 Stealth is key, and hunters must also be skilled at tracking the animals that they intend to hunt in the first place. 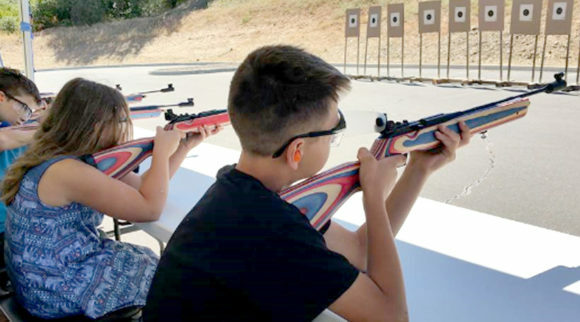 Another important skill, of course, is the ability to aim and shoot accurately, and this of all of these skills is probably the most challenging to master. 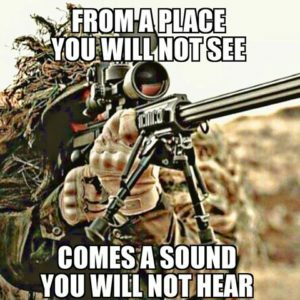 The factor that is most important of all is having an excellent vision of the target and this is where a good quality waterproof gun scope can come into its own. A waterproof gun scope offers a hunter optimal vision under a wide range of different circumstances, even when the rain is pouring down. 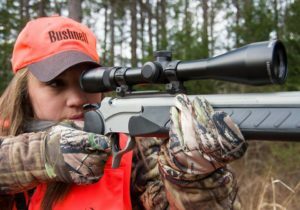 A waterproof gun scope is, therefore, an essential piece of hunting kit for anyone who will be out hunting in all seasons throughout the year. The best performing waterproof gun scopes feature specially designed optics which have been created to improve clarity of vision under all circumstances, and this means that they can make a huge difference for hunters even where there is no moisture in the air. Since they are designed to be resistant to all kinds of moisture in the air including fog and humidity. If you can easily see through the fog you will have a great advantage over the animals that you are hunting since they will be unable to have this advantage. 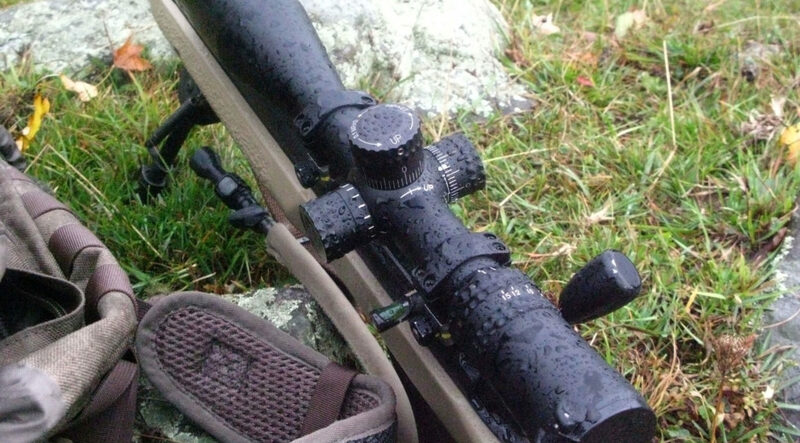 A waterproof gun scope also has more going for it than simply its waterproof nature. While its waterproof nature is certainly an enormous advantage, there are plenty of other impressive features which make a waterproof gun scope a perfect choice for all hunters, whether or not they are ever planning on heading out on a rainy day. A waterproof gun scope offers an impressive zooming feature which allows the hunter to zero in perfectly on their target. They are also very user friendly and simple to adjust so that you can easily operate the unit while out on the field. 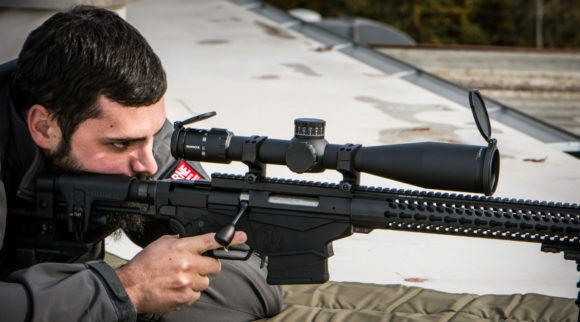 Purchasing the right waterproof gun scope to suit your individual needs can be tricky. 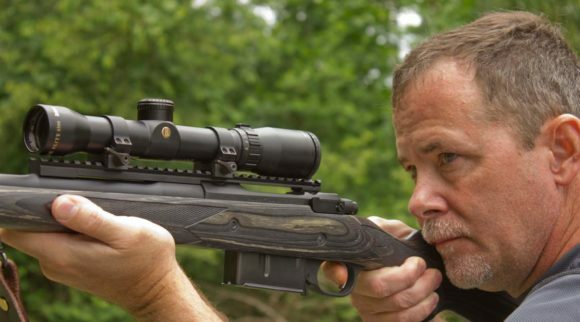 Not all waterproof gun scopes are created equal, so if you are ready to purchase a new waterproof gun scope, you can find out more about the best ones to buy by checking out our helpful advice. We can help you to find out more about the features that you should be looking for and which are the most reliable products available for purchase. 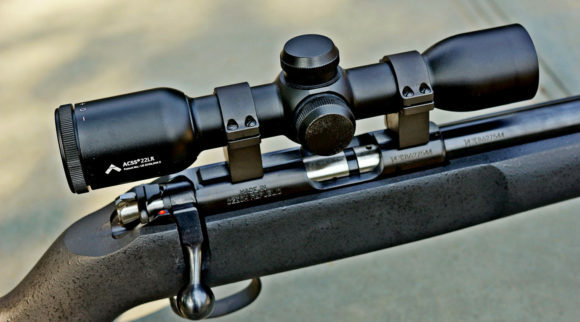 Check out our Best Rifle Scope Reviews for more information about the best gun scopes on the market today.